Do you like the NBA? Do you like beer? How much will you have to pay? 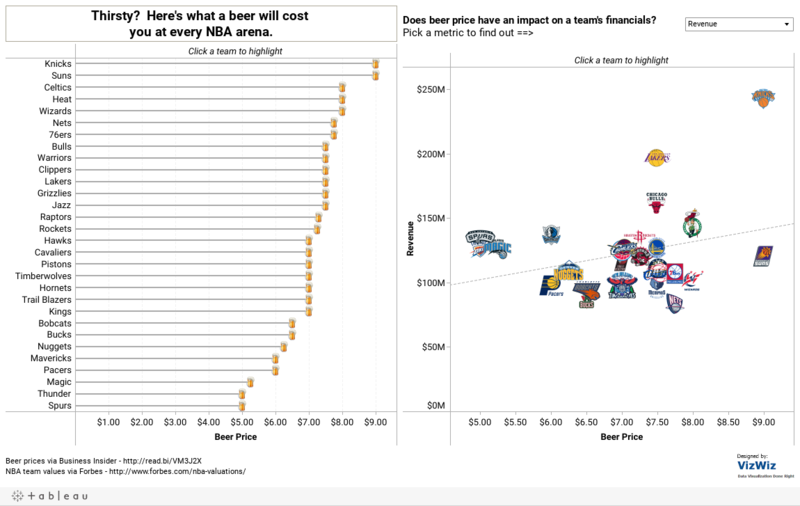 Business Insider published this vertical bar chart of beer prices in the NBA. The data is incredibly simple, yet they made the chart unnecessarily hard to read. The vertical bars should be horizontal, which would make them easier to read and compare. The bars are sorted backwards. 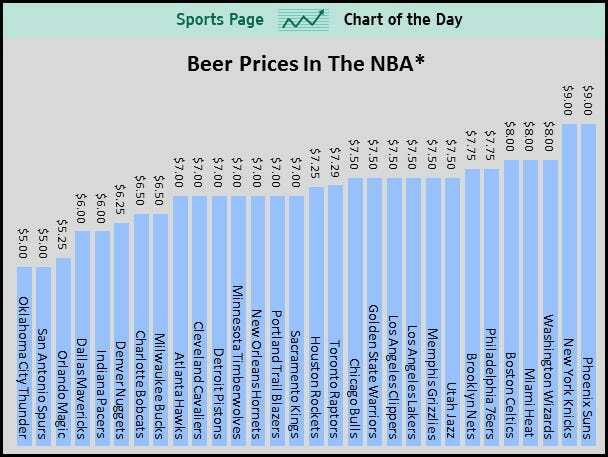 The topic is high beer prices, so the highest prices should be first. This chart requires you to turn your head sideways to read it. When you mentally turn your head, suddenly the chart goes from right to left, instead of left to right. Bars are easier to compare when left aligned vs. right aligned because that’s how we read. Determine if there’s a relationship between what teams charge and their revenue, franchise value, etc. It would be interesting if one of the metrics was alcohol tax rate in the team's home state. I wonder if Phoenix and NY would still be outliers.